The Quai aux Briques, near the Ste Catherine cathedral. 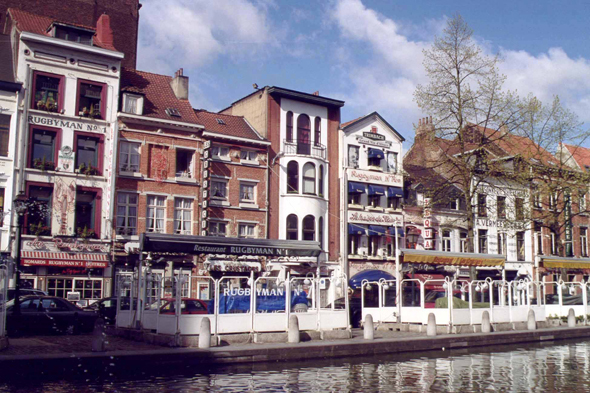 Brussels appears at the end of the 10th century, when Charles, duke of Low-Lotharingia, settle there and built in the island St Gery, formed by the arms of a small river, the Senne. The site is marshy, it is named Bruocsella, Frankish word meaning establishment in the marshes.